There’s a lot being going on off-the-field at the rugby club and this note aims to update members on these developments. The new indoor training facility is nearing completion and still remains on track, both in terms of schedule and budget. It’s a massive step for the club and we plan to have the new facility in use in November and with an informal completion event for club members during November – more about this shortly. We plan to wait till the Spring to hold a formal opening event with recognition for our funders, sponsors and other helpers. The new facility will have an IRB approved multi-sport 3G surface – it has a shock pad base with sand and rubber crumb in the carpet, allowing full contact work. The Playing Group has identified slots that it wishes to reserve and we will be making the facility available for hire, on a two monthly review basis and with a preference for block bookers. We will shortly be contacting those community sports and other organisations who have already expressed an interest, with a view to firming up on bookings for November and December. The new facility will also house changing and showering facilities and a strength and conditioning suite. While our players will benefit from access to these facilities, we also plan to offer monthly gym membership to the wider community and to various local sports groups. The new facility will be capable of operating on a stand-alone basis from the main clubhouse, although are planning to extend the opening hours of our existing clubhouse now that we have a new Clubhouse and Bar Manager in place. We are looking ahead to how the club will be run once the new facility opens. We are preparing an operational plan for the new facility and this will include a users’ guide. There will be new ways of working and we are trying to approach the task in looking at the whole Club. We need to think of the existing club house and the new training facility as one. By operating the new facility in a new way and that could open up the possibility of the club house being available for greater use. Inevitably, of course, this thinking includes the booking policy and charging fees. 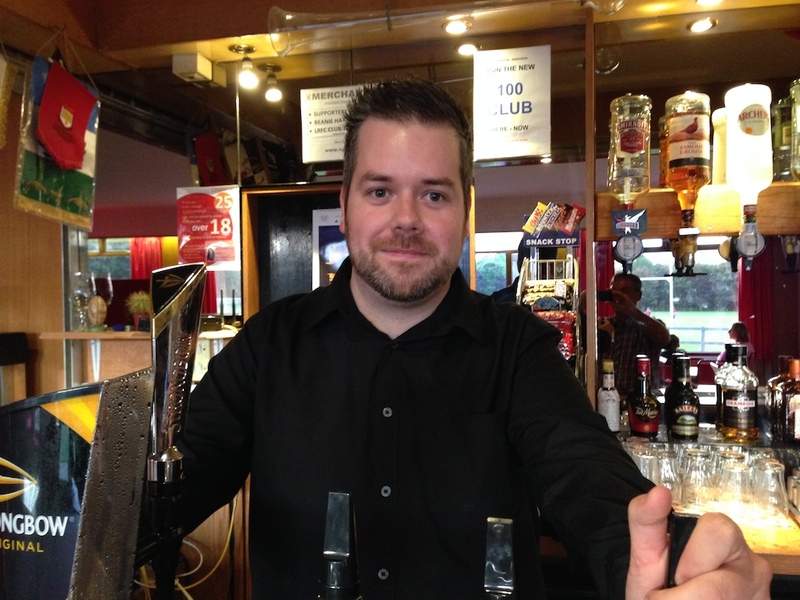 Last week Gary McGill started in the role of Linlithgow RFC’s Clubhouse and Bar Manager, just ahead of the opening of the new indoor training facility. 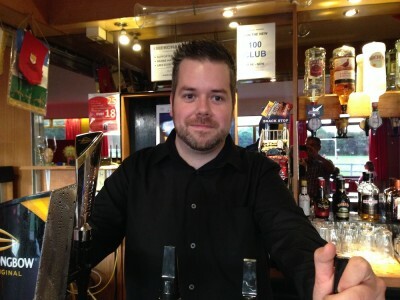 Gary comes to us with experience in bar and event management – some of you will know him from his time as Assistant Manager at the Four Marys. With Gary in place, we will be looking to utilise the clubhouse more effectively and Gary will play a key role in organising events and functions to bring members and their guests into the clubhouse on a more regular basis. Gary will be publicising events, what’s on in the club, TV sports etc on the club’s website and Facebook sites, so look out for more information. We are deeply indebted to Dave Thomas who will now step back from his day-to-day club support role – he has put in a power of work behind the scenes on a daily basis for over 10 years and kindly extended his support to help us over the summer until we were in a position to recruit Gary. Thanks are also due to Cal Thomson and Callum McKeown who helped provide cover for the bar over the summer. A few weeks ago we brought in Jen Elder on an interim basis as club cleaner. Jen provides a twice weekly clubhouse clean on Thursday and Sunday afternoons. This will take us through to the opening of the new indoor training centre when the job specification will be uprated. In addition, the choir will open the bar on MONDAY NIGHTS. The club will also be open on FRIDAY NIGHTS – if there’s no function, then we will arrange a club night, possibly based around live rugby on Sky TV. We will post information on Friday night events on the club website and Facebook pages. We have not just been focusing on the new indoor training facility, as members will have seen if they’ve been around the club recently. The Fabric Group, led by John Smith and with Gordon Jesty and Jim Mochrie to the fore and aided by several others (for whose help we are very grateful), have carried out extensive work in and around the entrance foyer and the club lounge. The foyer has been opened up with the removal of the internal doors and the old lucozade machine and the pipework, both in the foyer and lounge, has been neatly boxed up. In addition, the lounge ceiling has been painted and next week the north end of the lounge will get an uplift with plaster-boarding of the walls either side of the kitchen door. Investigations are also in hand to give the bar area a facelift and to look at options for lounge flooring. Last May, the AGM endorsed the proposal that the Club applies for Community Amateur Sports Club status. We have completed the paperwork for HMRC and they have acknowledged receipt and initial verification of our application and we now await confirmation of CASC status. When we get this, we shall be able to benefit from the status, with some tax advantages, especially Gift Aid on donations. Halloween Party – Saturday 25 October – tickets £5 from behind the bar. Fireworks Night – Saturday 01 November – tickets are on sale now week from the club bar and from Far from the Madding Crowd, The News Shop, Norman Cummings and Spar Linlithgow Bridge. Take advantage of the ‘early bird’ offer at £10 family, £4 individual for tickets bought in advance. Price on day will be £15 family, £5 individual. Sportsman’s Dinner – Friday 21 November – this event will be in the Clubhouse and guest speakers are football legend Frank McAvennie and rugby referee Johnny Bacigalupo. Tickets £25 from behind the bar – see if you can organise a table of guests. LRFC Golf Day at Kingsfield – Friday 01 May – contact Mark Wells or Nick Chadwick for more information. Formal launch will be at Sportsman’s Dinner. We are well on our way to achieving the over-riding objective of 2020 project – the development and refreshing of the club’s facilities as we approach our 50th Anniversary in 2020. The next phase is to make sure that we fully utilise our facilities as a part of our drive to be a self-sustaining community rugby club. If you haven’t been down to the club recently, come on down and see the changes for yourself – it would be great to see you!